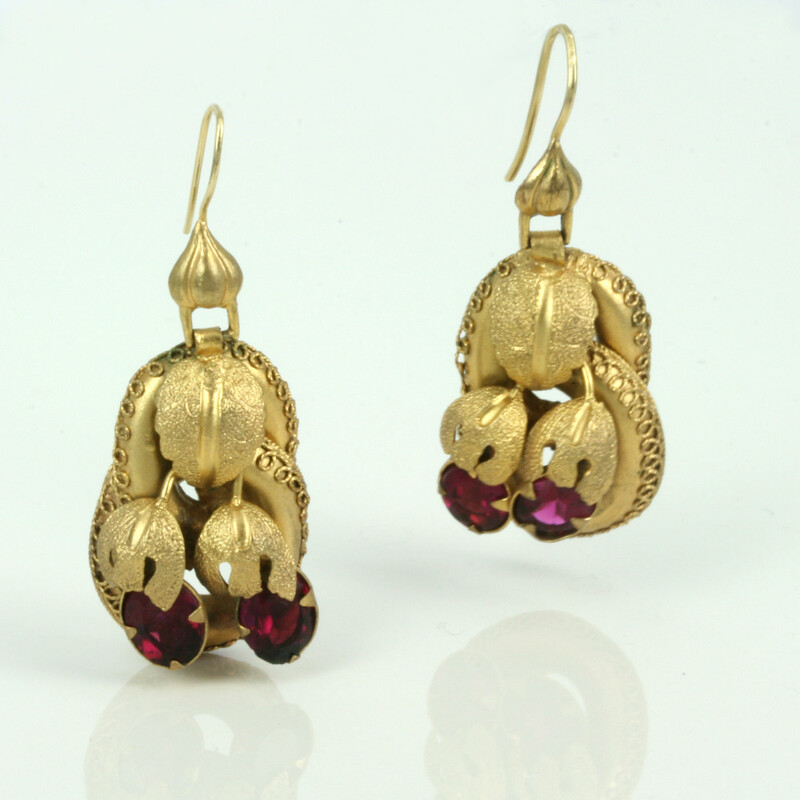 Antique double garnet drop earrings. Product code: 1120 Categories: Sold Items, Sold Jewellery. These Victorian era antique drop earrings are so full of detail, and look superb on the ear. 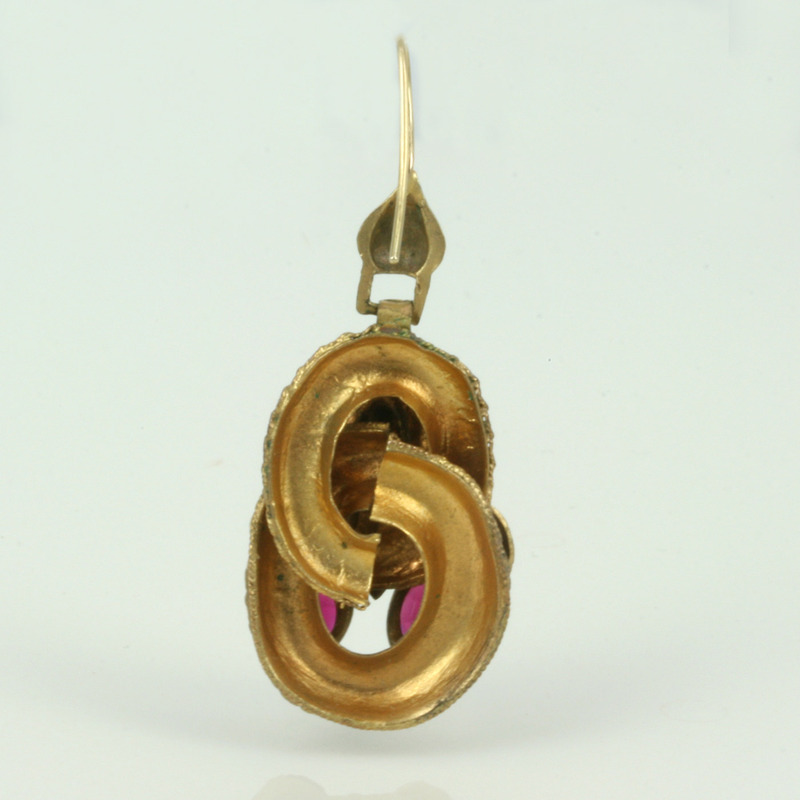 Made in 9ct gold and dating from the 1880’s, each earring is set with 2 vibrant garnets in a wonderful organic styled design. Each earrings measures 20mm in length (or34mm from where the shephard hook starts), and these are a pair of antique earrings that will always be admired every time that they are worn.